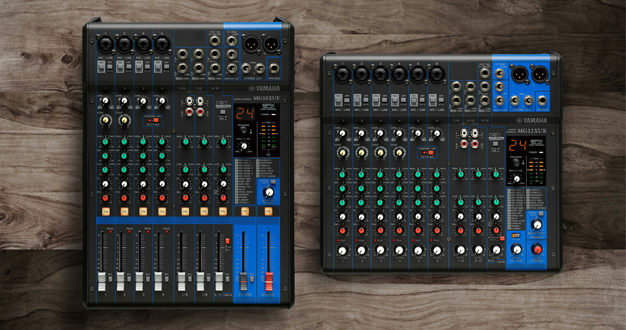 Yamaha has released two new models in its MG Series of compact mixing solutions for small-to-medium scale event and live performance applications. 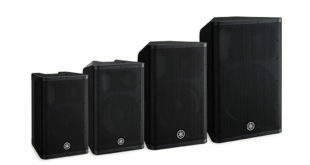 Since being first introduced in 2003, they have become standard equipment at many venues, with refinements and upgrades continuing to expand their suitability for a wide spectrum of sound reinforcement situations. The new MG10XUF and MG12XUK models add broader choice to the 10 and 12 channel categories within the third-generation MG Series line-up. While the adoption of linear faders in the MG10XUF offers fine level control and direct visual feedback, the MG12XUK employs rotary controls to give the console more compact overall dimensions. All other features are the same as current third-generation MG Series XU models. These include Yamaha’s discrete Class-A ‘D-PRE’ microphone preamplifiers. 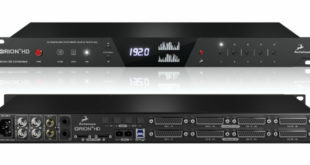 D-PRE preamps offer a wide frequency range which handles signals from any audio source without colouration, retaining the most detailed nuances of the original sound. An upgraded 1-knob compressor makes it possible to add optimised compression to a wide variety of input sources via a single control, while 24 updated SPX effects are included in the latest MG models for versatile creative processing. 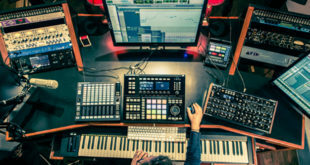 The new models also feature a USB 2.0 audio interface capable of 24-bit/192kHz quality for playback of digital content from a PC and/or recording of the mixer’s output to DAW software, such as the included Steinberg Cubase AI. 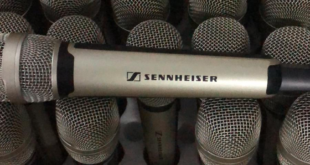 USB Audio Class 2.0 is also supported, allowing operation with USB Audio Class 2.0 compliant tablets and other devices, without the need to install driver software. Both the new models are compatible with the Apple Camera Connection Kit or Lighting to USB Camera Adapter for recording and playback of digital audio to and from an iPad or iPhone.